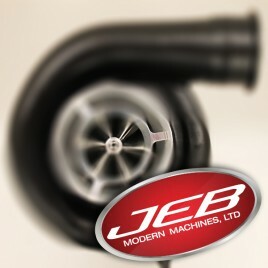 A great selection of custom built turbos. Contact us for any inquiries for further enhancements. Class: 3.0" Smooth Bore CALL FOR PRICING Since we custom build all of our award winning turbos, our standard turn around is 2 weeks for standard build and up to 4 weeks for a custom design. No matter what the job, you can expect to receive the best products and service. All of the parts that leave our shop are critically and carefully inspected by our full time quality control specialist. Class: 2.5" Map Groove Frame Size: S400 CALL FOR PRICING Since we custom build all of our award winning turbos, our standard turn around is 2 weeks for standard turbos and up to 4 weeks for a custom design. No matter what the job, you can expect to receive the best products and service. All of the parts that leave our shop are critically and carefully inspected by our full time quality control specialist. Class: 3.0" Smooth Bore Frame Size: HX60 CALL FOR PRICING Since we custom build all of our award winning turbos, our standard turn around is 2 weeks for standard turbos and up to 4 weeks for a custom design. No matter what the job, you can expect to receive the best products and service. All of the parts that leave our shop are critically and carefully inspected by our full time quality control specialist. Class: 2.6" Smooth Bore Frame Size: HX60 CALL FOR PRICING Since we custom build all of our award winning turbos, our standard turn around is 2 weeks for standard turbos and up to 4 weeks for a custom design. No matter what the job, you can expect to receive the best products and service. All of the parts that leave our shop are critically and carefully inspected by our full time quality control specialist. Class: 2.6" Smooth Bore Frame Size: S400 CALL FOR PRICING Since we custom build all of our award winning turbos, our standard turn around is 2 weeks for standard turbos and up to 4 weeks for a custom design. No matter what the job, you can expect to receive the best products and service. All of the parts that leave our shop are critically and carefully inspected by our full time quality control specialist. Class: 2.5" Map Groove Frame Size: GT42 CALL FOR PRICING Since we custom build all of our award winning turbos, our standard turn around is 2 weeks for standard turbos and up to 4 weeks for a custom design. No matter what the job, you can expect to receive the best products and service. All of the parts that leave our shop are critically and carefully inspected by our full time quality control specialist. Class: 2.5" Frame Size: S400 CALL FOR PRICING Since we custom build all of our award winning turbos, our standard turn around is 2 weeks for standard turbos and up to 4 weeks for a custom design. No matter what the job, you can expect to receive the best products and service. All of the parts that leave our shop are critically and carefully inspected by our full time quality control specialist.